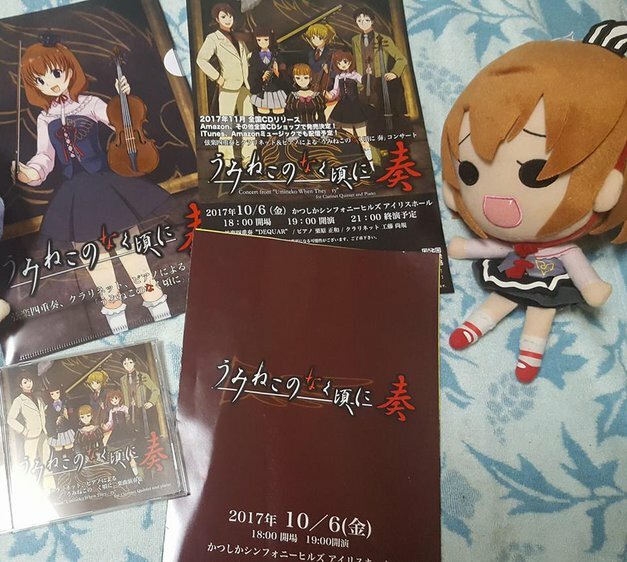 Commemorating the anniversary of the Rokkenjima mass murder incident, the Umineko no Naku Koro ni Sou Concert was held in Japan! Lucky for us, two of our forumers GoldenBugHunter and Bernkastelle were in attendance of the event, and Bernkastelle has even offered us a report of the event! Thank you so much Bernkastelle! Hopefully we can continue reporting on other 07th Expansions in this capacity in the future. With that said, enjoy the report! The Umineko Sou concert was held on Friday, October 6th, 2017. I was anticipating it since September 20th when I ordered my tickets, thanks to learning about it from Rokkenjima. 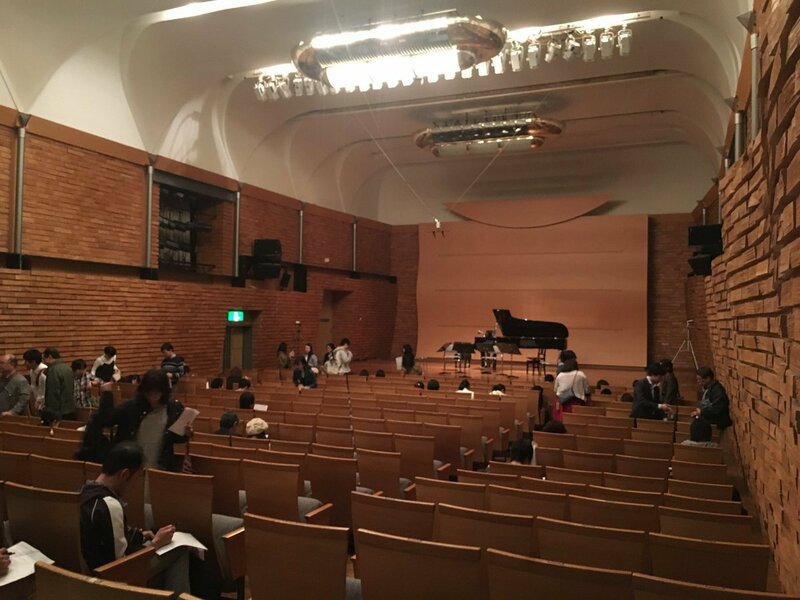 On the evening of the concert, after having an early dinner, I went over to Katsushika Symphony Hills where it was held. 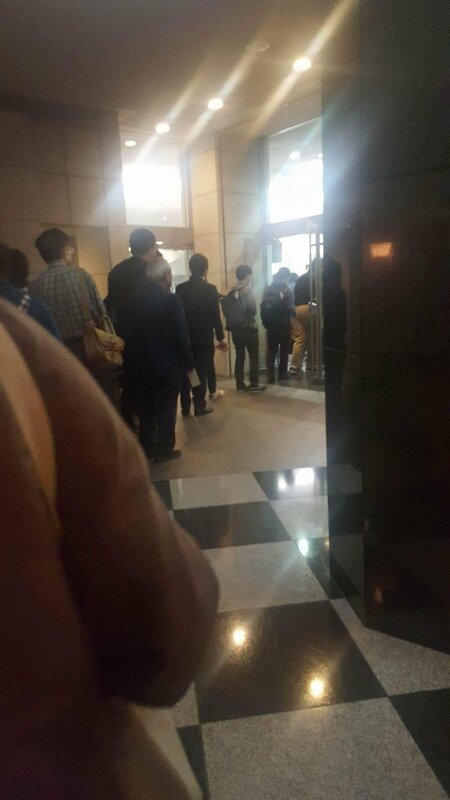 About 6pm and there were a few people hanging around at the entrance already. Everyone was dressed casually or casual-formal. One person even brought a huge Sakutarou plushie! I wanted to get his picture, but admittedly I was too shy to ask. 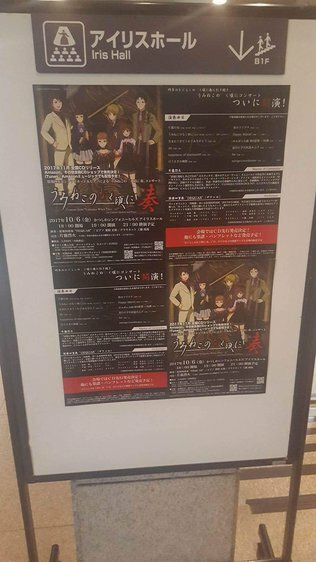 It seemed there was various places to acquire tickets, as some people were holding special-style ones with the logo of Umineko on them with the silhouette of Beatrice. The doors opened about 6:30 or so I believe, though I wasn’t quite sure the time. They opened early to sell the merchandise in the front - and there was a huge line to both get inside and also for the merchandise, that it went entirely around the small room. There were most likely about 40 or 50 people in line. The merchandise could only be bought before the concert, or during the intermission, not after – but many others, including myself, I wanted to go before to spend some time before the concert began, and also to secure goods in case something sold out. The signboard showing the concert. The line to get in once the doors opened! Turns out, my hunch that an item would sell out was correct - while in line, they were selling the CD album of “Dear Golden Witch” with music arranged by Luck Ganriki and sung by Katakiri Reika. I believe the copies being sold were signed by Ms. Katakiri who was also the MC during the concert. She also sang the last song performed, “あの日にふれたくて " or “I want to touch that day” at the end of the concert. She is also more well known as the singer of Happy Maria – Band Arrange version. The album sold out super quickly, within 10 minutes. I’m sure it was very limited copies. Aside from the special CD, the regular merchandise was a pamphlet of the concert for 1000 yen (about 10$), the CD + clear file for 2500 yen (25$), and the music book for about 1500yen (15$). But you could buy the whole set of items pre-bagged for their total cost of 5000yen (50$). 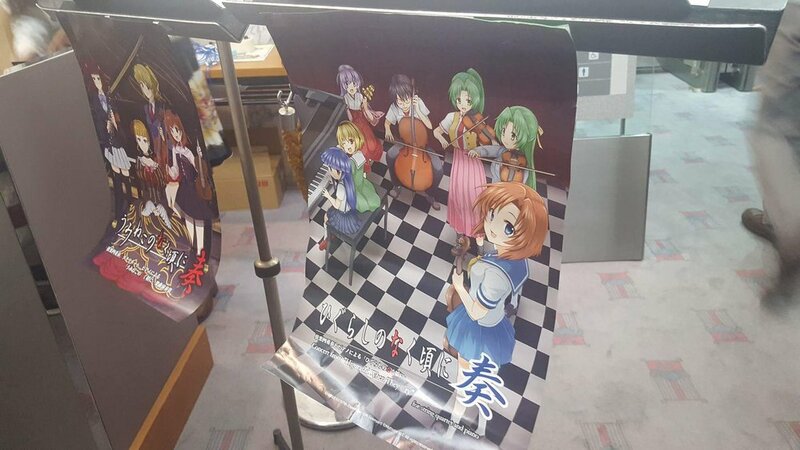 They had Higurashi Sou merchandise as well, such as the CD, the clear file, the music book, (same price as the Umineko Sou items) and also the DVD of the concert for 4000 yen (40$). The Umineko Sou DVD was available for pre-order for 3500 yen (35$) you could give to the staff at the end of the concert. It will be shipped out / delivered late February 2018, which I at the same time will be publicly available to order via Amazon Jp or other shopping services and stores. For myself, I only purchased the CD + Clear file set of the Umineko Sou. Near the entrance to the hall they also had the advertisement promo posters for free which I took a few as souvenirs. We also of course got the usual program for free that came along with a survey of the show. Photo of goods I got! Maria not bought there but included for cuteness! 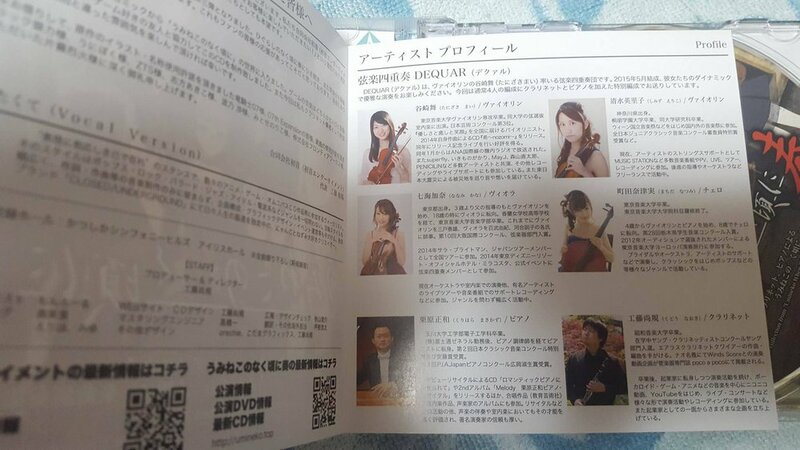 Inside the CD booklet was details of the artists performing. Once we got inside the concert hall, we were told we couldn’t take any pictures or videos inside of the performers or during the show, (due to the DVD that was going to be sold and copyright of the CD music as well) but I was able to take a photo beforehand of the hall to see the kind of theatre it was. Here is the photo, and if you can believe it, the person two rows in front on the left holding the paper/program, that’s dai! dai, ZTS, and ラック眼力 (Luck Ganriki) were right in our midst as honored guests in the concert. I was starstruck when they were called out by Ms. Katakiri. They stood up to bow and were given an applause, as the three artists whose songs from the Visual Novel were played in the concert, so I’m so glad they were there to see! In the whole concert program, I recognized all the songs by them except that last one, that was also in the limited CD being sold: “I want to touch that day / Ano hi ni furetakute /あの日にふれたくて”. I was a little shocked I didn’t recognize a song, since I knew all of the Visual Novel songs like the back of my hand. After doing some searching online after, I realized why - this song was from Ougon Musou Kyouku / Golden Fantasia (the fighting game for PC) and then later in the Umineko Pachinko animation ending theme. Then the concert began. There was 3 violinists, 1 cello player, 1 clarinet player, and one pianist. The music was incredibly worth the value of the tickets - I have no words to describe adequately the beauty and range of which they played; but it was simply incredibly beautifully done. I was expecting something more basic or simple, given the number of performers and range of instruments; but the way they arranged the songs was lovely. The last song was first performed instrumentally by the artists, then as an encore, performed instrumentally and sung by Ms. Katakiri, as mentioned earlier who is the original singer of the song itself and MC of the show. 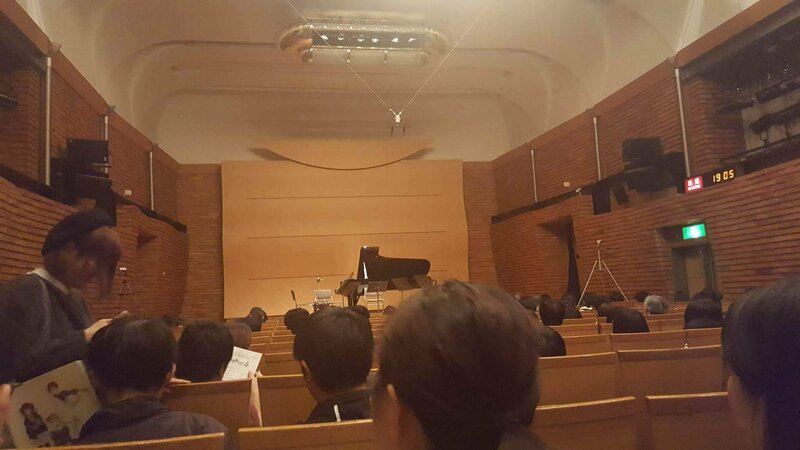 Ms. Katakiri made comments and kept the flow of the concert, during the entire show. She commented about the songs, how they were nostalgic to the fans, or if we remembered how the songs made us feel, or comments about how it may sound different with the instruments. They were mostly general to provide a break for the artists and also to arrange the seats, and to add an air of community and friendliness, or set the mood. It was a great touch. Deep down, I did wish Akiko Shikata was there to sing the two opening songs (I’m a huge fan of her, so that would’ve been a wonderful experience!) but it was not lacking at all, and I found myself being able to remember the lyrics along with the music playing. There was so much emotion and range expressed by just the few instruments and the way the pieces were arranged, I was deeply impressed. Mirage Coordinator was my #1 favourite. It stood out from the rest so well, I was absolutely shocked. It was just incredible the way they performed it. The air in the theatre changed from the level of emotion and intensity it brought out. The air and energy before was one of nostalgia, fun, lightheartedness, and beauty - but when Mirage Coordinator came on, as Ms. Katakiri put it, there was definitely a “magic barrier shift”. I definitely wish the concert was longer and we could hear the band’s arrangement of other iconic songs as well. My second favourite was Happy Maria, and then Happiness of Marionette. It also made me wish we had a full orchestra performing, harpsichord, accordion, xylophone and all! I was a little surprised they didn’t choose Nighteyes, since that song would be really strong for the instruments being used. But I’m really happy with the lineup and I honestly have no complaints! Ryukishi wasn’t there, but seeing the artists was amazing enough. At the end of the concert I had to rush out to catch the latest train, so unfortunately I didn’t get a chance to talk to them. (The air also wasn’t a good timing, it ended a bit late and I’m sure they wanted to head home as well). However, I filled out the concert survey/feedback sheet and mentioned I found out the concert through Rokkenjima, writing the full address of the site. 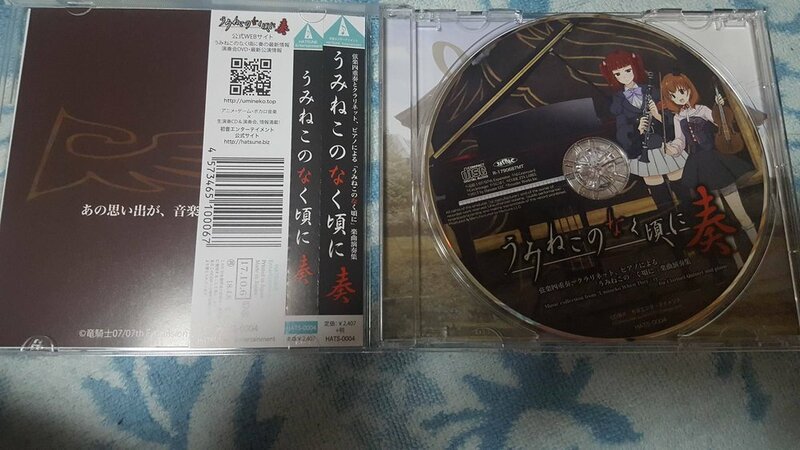 I also gave my Rokkenjima business card to the organizers alongside the feedback sheet and requested if they would be kind enough, if possible, to pass it along to the Umineko artists, or if possible Ryukishi as well. I mentioned briefly we are a whole overseas community of fans, and they seemed very surprised, but also very happy! Hopefully they pass the information about our community along! I hope this could provide some insight and general info about how the concert went! I really wish everyone could have gone as a group but maybe someday for another 07th Expansion event!